The entertainment investment company formed by Treasury Secretary Steven Mnuchin appointed an interim CEO back in February -- his fiancée, actress Louise Linton. The Hollywood trade industry site Deadline first reported Linton's CEO title on Tuesday, after she mentioned it in a post on her personal Facebook page. Linton's representative confirmed to CNNMoney that Linton stepped into the role after Mnuchin took office about three months ago. When asked to confirm Linton's post, a person who answered the phone at Dune Entertainment said she was "not allowed to give out that information at this time." As part of his confirmation by the Senate, Mnuchin was to divest his interests in RatPac-Dune Entertainment within four months of his appointment, per his ethics agreement. 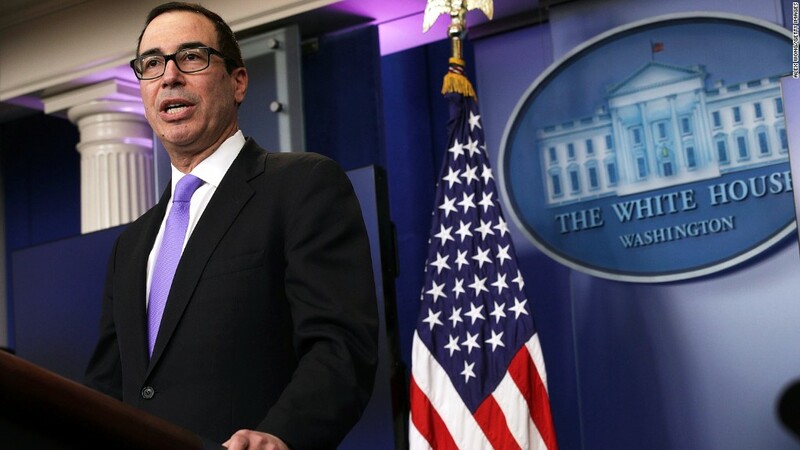 In March, Mnuchin came under fire for appearing to endorse "The Lego Batman Movie," a film produced by Dune, in an interview with Axios. The secretary had been prompted to reveal his favorite movie, but declined, saying he wasn't "allowed to promote anything that I'm involved in." He added, however, that the audience "should all send your kids to 'Lego Batman.'" Mnuchin later wrote in a letter to the head of the Office of Government Ethics that he "should not have made that statement." Mnuchin launched RacPac-Dune Entertainment in 2013 in deal with filmmaker Brett Ratner and Australian businessman James Packer. The company has backed movies like "American Sniper," "Batman v Superman," and the lucrative Lego Movie franchise. Mnuchin is also listed as an executive producer on the upcoming "King Arthur: Legend of the Sword," starring Charlie Hunnam. Linton's acting credits include small parts in horror movies like "Cabin Fever" and "Rules Don't Apply," in which Mnuchin also cameoed.